$1 Trial for Brendon's HPX COURSES PROGRAM! That's $891 of personal and professional development courses from the world's #1 high performance coach, unlocked RIGHT NOW for just $1! Then, every 1ST of the month for a year, we'll unlock ANOTHER new, complete online personal development course for you. Again, it's just $1 for your first week trial. 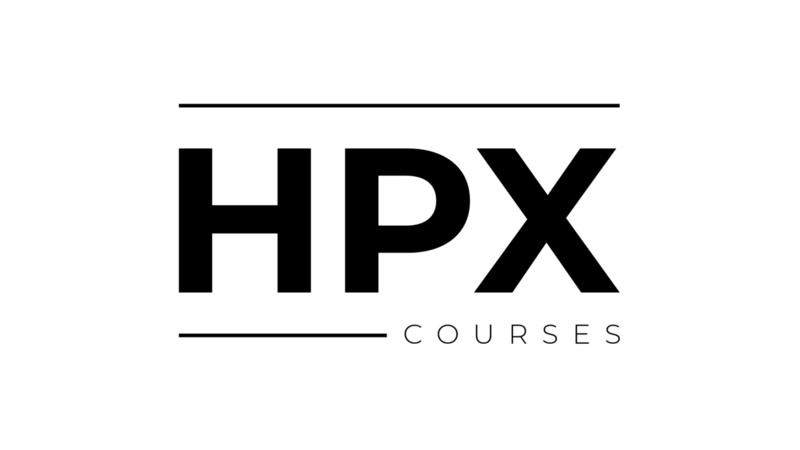 If you don't cancel in 7 days, then you'll become an HPX COURSES member and automatically be billed at $67 per month until you cancel. Entrepreneur or Employee? I am an entrepreneur running my own business. I am an employee. Neither. You are only being charged $1 right now as part of this trial. If you do not cancel - which you can do by replying to any of our emails - then in 7 days you will automatically be billed $67 every month until you cancel. There are no refunds on any prior month, but you can cancel your next month. You will receive ongoing emails or SMS texts to be alerted when the LIVE training starts. You can unsubscribe or reply STOP at any time to halt future email or SMS communication. If for any reason you are unhappy with this program, notify us within 30 days of your purchase and you'll get a full refund! Email us anytime at support@Brendon.com or reply to any of our emails anytime you need anything at all. We, The Burchard Group, collect your information and can be contacted anytime at support@Brendon.com. All of our data use, terms, and privacy information can be found at Brendon.com/terms. You can lodge any complaints with us via that same email, or request to be removed from our email lists, phone lists, or advertising targeting, too. When you submit information to us, The Burchard Group, we use it in an ongoing nature to ensure you receive the information or purchases you've made with us, to deliver relevant future content via our email newsletters, to track how much you use our sties or services, and to make future offers through our company or any other company that is involved in delivering your purchases, bonuses or content. By giving us your contact information now, you are granting us the right to contact you in the future in any manner necessary at our discretion for ongoing personal and professional development. When you become a customer through our sites, you provide your phone number to us and we may use your phone number to confirm orders, deliver promised ongoing training or communication, and to send text updates, promotions, videos, audios, or messages related to Brendon Burchard or any of his brands or programs. You can opt-out of receiving any future text messages by simply replying to any of our text messages at any time with the word STOP. By signing up for our products or programs you hereby grant us permission to text you until you reply STOP. We do not ever sell or rent your phone number and we only communicate with you regarding relevant Brendon Burchard programs. We rarely share your information with any other company unless it is necessary to deliver your purchases or content. As an example, if you purchase certain courses from us, you may receive a bonus coaching session or group coaching session as part of your offer/purchase which is delivered by a third-party company co-owned by us or Brendon Burchard, like Growth.com. In that case, to deliver that coaching product or bonus, we share your information with Growth so we/they can contact you to schedule that coaching call(s) you received as part of your purchase. At any time, you can contact us and request not to share your information with such service providers, but you may lose access to certain purchase bonuses or items if you do not allow the delivering third-party to contact you. All products and services by our company are for educational and informational purposes only. Your level of success in attaining any stated ideas or strategies in our programs or on our websites is dependent upon a number of factors including your health, skill, knowledge, ability, dedication, goals, relationships, love of other humans, and financial situation, to name a few. Because these factors differ according to individuals, we cannot guarantee your specific success or results in any area of life or any endeavor. As stipulated by law, we make no guarantees that you will achieve any specific results from our information, programs or services and we offer no licensed or professional medical, legal, therapeutic, tax, or financial advice in this program. The information contained herein cannot replace or substitute for the services of trained professionals in any field, including, but not limited to, medical, psychological, financial or legal matters. You alone are responsible and accountable for your decisions, actions and results in life, and by your registration here today and use of our programs or websites at any time, you agree not to attempt to hold us liable for any such decisions, actions or results, at any time, under any circumstance. As with any effort in life, there are risks that you may not get ahead - that’s life - so always consult professionals when needed and do what is right for your family. We are simply here trying to help you become more with powerful insights and information. If you ever need anything from us, just reply to any of our emails. We respect your dedication to learning and growing your life, so we're here for you anytime at support@Brendon.com.